The bad blood between Chishimba Kambwili reportedly turned physical this afternoon, with the Road MP telling Speaker of the National Assembly Patrick Matibini that Copperbelt Minister Bowman Lusambo and Lands Minister Jean Kapata had assaulted him outside Parliament. 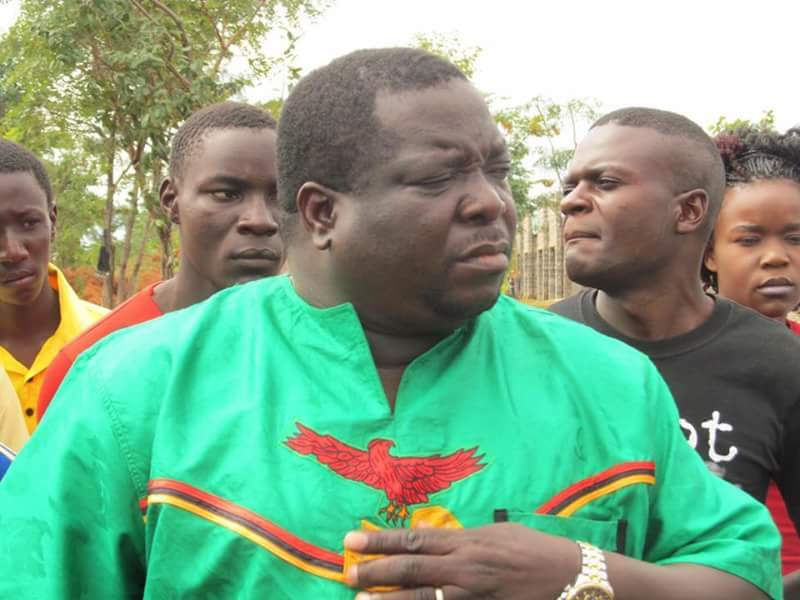 Rising on a point of order, the former Information minister alleged that Lusambo followed him outside the House and slapped him before Kapata showed up moments later and poured a bottle of water on him. And Speaker Dr Matibini has warned MPs that at the rate things are going, they risk turning Parliament into “a platform for fists of fury”. In his ruling, Speaker Dr Matibini promised that the alleged scuffle of the lawmakers would be investigated. “Obviously, these incidents, allegedly, happened outside the floor of the House and therefore, they need to be investigated. Once they are investigated, of course, the House will be appraised of the next course of action. That is my ruling,” ruled Speaker Dr Matibini. Meanwhile, Speaker Dr Matibini said he would not allow the House to degenerate into a platform of fists. “The Minister of Lands and Natural Resources, let the Honourable member for Roan complete the point of order without interference. At the rate we are going, there is a risk that we could turn this place into a platform for fists of fury. It has been done elsewhere and not very far from here; even in Parliaments where we least expected, that kind of conduct has happened and I will not allow this House to degenerate to those levels,” said Speaker Dr Matibini. The guilty are always afraid. They cannot intimidate CK in that manner. All they need to do is take him to court so that they are cleared…and not slapping or pour water and insult him. Suppose Ck reacted to kapata’s action what were the women’s movement going to say. How I wish we could have a men’s movement as well. Shows how demented and cheap they are. They are feeling the heat. What has become of Bowman, he wants to take bus station loading bay to Parliament? Shame upon these two guys. It all started with stealing elections and the thieves are now fighting for wealth.The Lungu and PF govt is corrupt to the core. We had maizegate,Roadgate and now Firegate scandals.No wonder ECL is now filthy rich at the expense of the masses.Lungu and his corrupt and illegitimate govt must be stopped forthwith. BA KABOLALA NOMBA AMONO YAPELA!! THIS IS THE END OF THINKING FOR CRIMINALS! THEY ARE JUST WAITING FOR THEIR TURN TO BE IN PRISON ONCE THE RIGHT TIME COMES! !THEY ARE AWARE THAT THE WHOLE ZAMBIA KNOWS THEM BY THEIR DEEDS!! JUST AS JESUS SAID “YOU SHALL KNOW THEM BY THEIR FRUITS” SO THEY HAVE PRESENTED THEIR FRUITS TO ZAMBIANS. Were are the so called Christians for lungu at the moment its heated,shame on u bishop Banda &the others.